German neo-Nazi sentenced to life imprisonment for 10 murders! NewsGerman neo-Nazi sentenced to life imprisonment for 10 murders! German neo-Nazi Beate Cismet was found guilty of 10 murders in Germany and sentenced to life imprisonment, the World Agencies have reported. The decision was taken at the end of five years. The court also deprived Cespe of the right to request conditional release after 15 years in jail. She had been denied such a thing because of the seriousness of the crimes she had been involved in. Five judges from a court in Munich today took the decision to blame 43-year-old Csize. They said she was responsible for taking part in nine xenophobic murders and murdering a policeman. The crimes were committed in the period 2000-2007. Most of the victims were Turks or Turkish. There is also a Greek woman. Most of the victims are small traders. The defendant was the only surviving trio of neo-Nazis, coming from the former Communist GDR, and called the National Socialist Illegal Group. Chespe was also accused of being involved in two bombings against foreign community representatives in Germany and 15 bank robberies. The Prosecutor's Office said she provided important logistical support to her two associates and managed the trio's finances, and that she had found housing in which they would live for many years underground. In the trio from which Beate Cispe survived, Uve Mundlos (38 years) and Uwe Böhnhart (34) joined. In November 2011, the two men were found dead in an attempt to be arrested by the police. Investigators believe that they have committed suicide, or that one of them has killed the other and then committed suicide. The case involved 437 days of court hearings, a 300,000-page file, 15 defense lawyers, 750 witnesses, over 50 experts and nearly 80 constituted civilians. The case deeply rocked Germany and brought to light the problems and omissions of internal intelligence as well as the underestimated danger of the German far-right networks. The case put the government in an awkward position because the alleged assassins have been acting for years without worrying. The families of the victims were initially convicted. Some of the victims' relatives testified in the trial against Tshepep that they were subject to suspicion by police officers who thought the killings were the result of billing between drug smugglers or that they were committed in connection with money laundering . Moreover, before the end of the investigation, it turned out that important documents had been destroyed. A German parliamentary committee has examined all these gaps in the police and the judiciary. The then president of the Bundestag even mentioned an "unprecedented historical disaster" and criticized the "mass failure of the authorities." The trial was further delayed for procedural reasons, and the main accused tried to gain time by giving up three of his attorneys and finally hiring two others. She kept silence for a long time, Beate Cispee finally spoke, first in a letter read by her attorneys, then twice directly. "Please do not condemn me for something I did not want or did," she said in the boardroom. German media presented Ceske as an incarnation of evil. In the court, she denied she was involved in the preparation and warranty of the attacks. She said she had no courage to abandon her two murderers. But the accusation rejected her allegations and said she was actively involved in thinking about these xenophobic crimes. 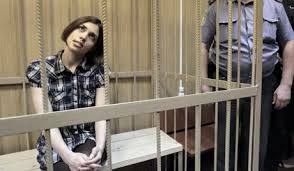 The prosecutor's office portrays her as "cold and calculating, and said that human life does not play any role for her." Beate Cshepe surrendered to the police on November 8, 2011, four days after the death of her associates, with which she had been linked. Beate Tshipe has entered the neo-Nazi circles of 20 years and met with two of his comrades in the early 1990s at a youth center. Very quickly the trio was radicalized and armed. In 1998, the trio was identified by internal intelligence and forced to go underground. Then Tsheppe breaks ties with his relatives. There were four other defendants suspected of having logistical support to the trio. One of them, Ralph Volebene, was given 10 years in prison to supply the weapons used by the assassins for the series of murders. The second Holger G. received three years to support a terrorist organization. The third André E. received two years and six months imprisonment on the same charge. The fourth Karsten S., who was a juvenile at the time of committing the crimes, received three years in a youth detention center to help the murderers in nine of the crimes. German neo-Nazi sentenced to life imprisonment for 10 murders! German neo-Nazi sentenced to life imprisonment for 10 murders!